A fun, hands on workshop on how to assess, arrange, restore and archive your personal memorabilia, photos and objects. Your story is important! This workshop, co-sponsored by the William Way Community Center, the Historical Society of Pennsylvania and the Conservation Center for Art and Historic Artifacts is open to anyone.You can bring in samples of the kinds of things that document your own life, your family and your community. We’ll give you tips on how to store that memorabilia, how to maintain it, repair it and handle it. We’ll even point you toward local libraries and archives that might be interested in accepting your treasures when you’re ready to give them up, or just can’t move them one more time. 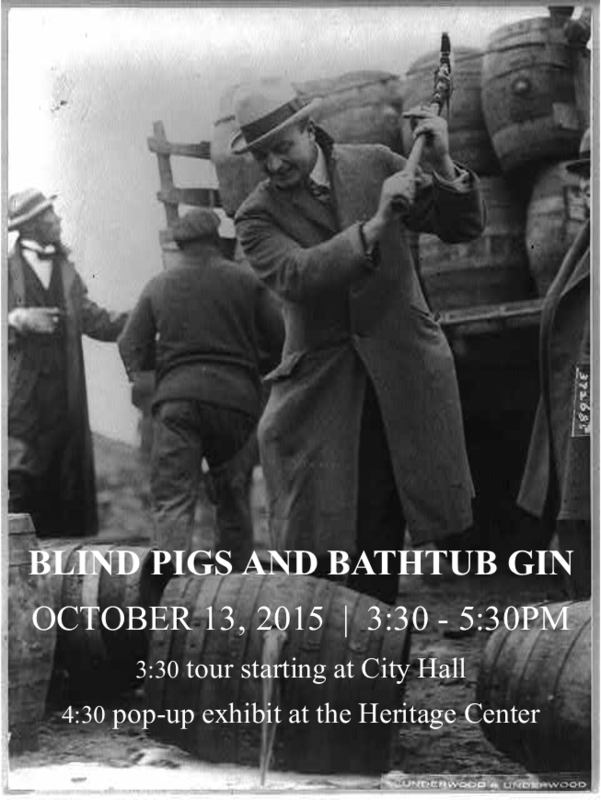 Prohibition-themed walking tour led by Bob Skiba and pop-up exhibit. Begin at City Hall, end at the Heritage Center of the Union League of Philadelphia. Free snacks, cash bar (no bathtub gin). Sponsors: Heritage Center, William Way LGBT Center, MARAC-PA, PACSCL. Tour is limited to 25 people and will be approximately one hour. Heritage Center portion of the event open to 50 people. Registration is required. Please contact Jes Russerow at 215-587-5596 or foundations@unionleague.org to register or with any questions. More information (including the exact location to meet for the tour) will be emailed to attendees as the event approaches. Sponsors: The Heritage Center of The Union League of Philadlephia; The John J. Wilcox, Jr., Archives at the William Way LGBT Community Center; The Mid-Atlantic Regional Archives Conference Pennsylvania Caucus, and the Philadelphia Area Consortium for Special Collections Libraries. 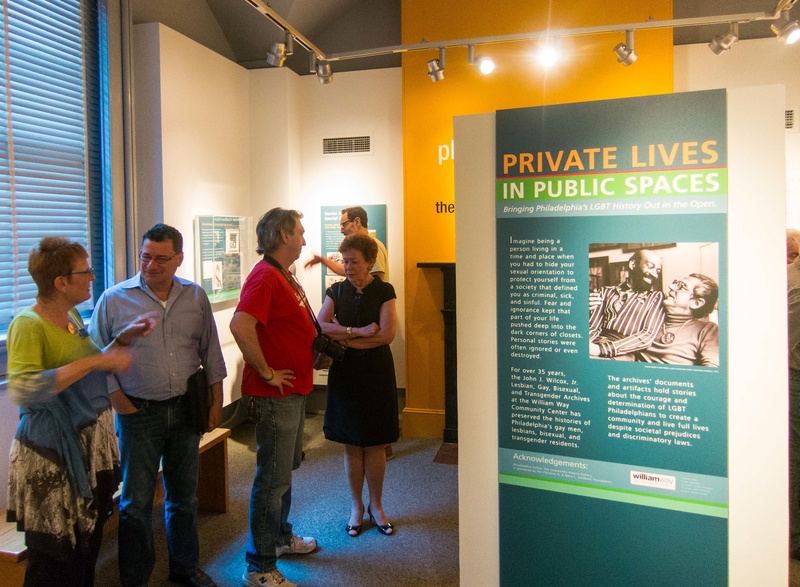 Visit the Heritage Center website. Find them on Facebook and Twitter. 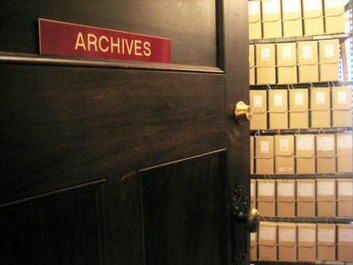 Visit The John J. Wilcox Jr. Archives at the William Way LGBT Community Center website. Find them on Facebook and Twitter. Visit the Philadelphia Area Consortium for Special Collections Libraries website. Find them on Facebook and Twitter. Visit the Mid-Atlantic Regional Archives Conference Pennsylvania Caucus website. Find them on Facebook. 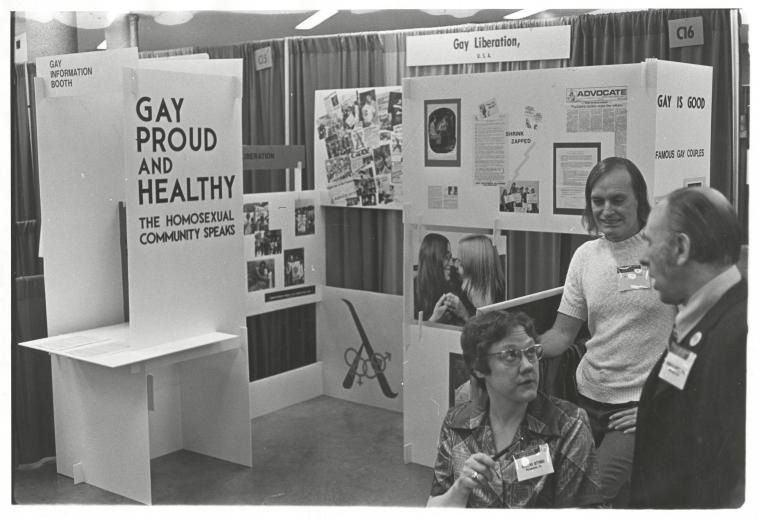 The William Way LGBT Community Center (WWCC) will be displaying original artifacts from the John J. Wilcox, Jr. Archive’s, a program of the WWCC. Items range from correspondence to an LGBT community photo wall of faces and places from the 1950s through present day. Selected items include a personal scrap book featuring local flyers, matchbooks, and pictures of gay bars in the 1970s and 80s, a denim jacket adorned with pins and patches from local leather clubs and organizations, correspondence from the James Caulfield and Rafael Suarez collection documenting their life and travels together in the 1960s, clips from the Robert R. Rosenbaum Oral History Project, and panels describing the WWCC’s history. Its intention is to give the viewer a quick glimpse into what life was and is like for some LGBT individuals living in an oppressive society.